The Rev. 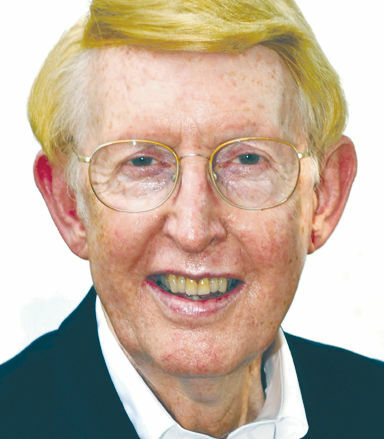 Nelson Price is pastor emeritus of Roswell Street Baptist Church in Marietta and a former chairman of the Shorter University board of trustees. GUEST COLUMN: Can a Christian vote for Donald Trump? The question is often posed, can a Christian vote for Donald Trump. My answer is, a Christian can vote for Trump without endorsing his temperament, language, and conduct. Without listing a glossary of gross comments, it must be acknowledged he is all too often base, demeaning, opprobrious, and of late proven vulgar at times. Those factors are reprehensible. Regrettably, the tapes are likely not the only time he has used such language. However, I don’t find his vacillating opponent to be a paragon of virtue, integrity, and honesty. Her language regarding Bill’s victims was not much better. Laughing about a child being raped lacks merit also. Neither is the beau ideal of righteousness. Their offsetting mannerisms aside, some other basis for choosing between them should be considered. We are electing a commander in chief, not an Exemplar in Chief. Some of his behavior is less than ideal, actually boorish. To vote for him one has to focus on some facts that overshadow his flaws. There again is a standoff between the candidates. Everyone has faults. One of our daughters, speaking of choosing friends, observed everyone has faults. In making friends you just have to decide whose faults you are willing to accept and make them your friends. That is also true currently in selecting the persons for whom to vote. First, Supreme Court jurists. Trump has released a list of potential court jurists all of whom indicate by their record that they will uphold the Constitution and not legislate from the bench. Starting with Jefferson, a strict constitutionalist, and Hamilton, a broad constitutionalist, the debate began and continues regarding interpreting the Constitution. Jeffersonian proponents advocate smaller government, which gives most of the power to the states and people. Advocates of a broad or living Constitution espouse the concept the Constitution says what the government can’t do — such as engage in unlawful search and seizure — but it does not say what the government should do. They note government should do such things as provide free education, universal health care, affordable housing, and child care. They forget the government has no money. The government only spends money provided by those they tax. Oops! Second, religious liberty. Governmental action supported by the PC police have done much to marginalize the faith community, prohibit many Jewish and Christian traditions, and devalue the influence of Biblical morality. At the same time, they have accommodated many religious demands by the Islamic community. It is a simple, but significant thing: Trump says we will be able to say “Merry Christmas” again. Third is immigration. We are rapidly becoming a national Trojan horse. The U.S. Department of Homeland Security estimates there were approximately 11.4 million unauthorized immigrants in America in 2012. Unvetted and unvettable immigrants are pouring in and becoming wards of the state, many of them refusing to assimilate. In our nation’s past there have been times when there were mass immigrations from such countries and Ireland and Italy. They came in and became Americans, contributing citizens. Trump’s promise to secure the borders resonates with many, while it is aggressively opposed by others. What do you want? This is a watershed election. Every vote will fall on one side or the other determining, the flow of our national destiny. Pray and vote.